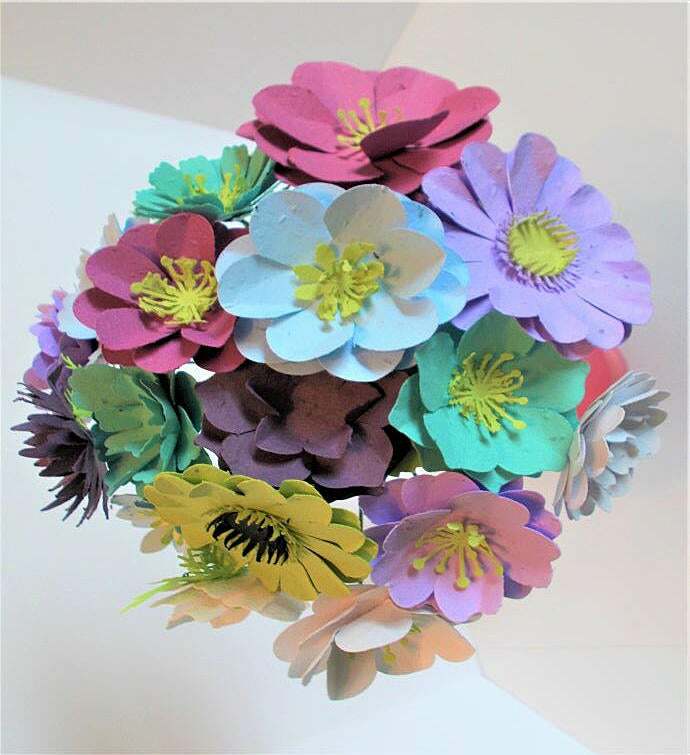 A bouquet of 18 flowers in shades of blues, aqua, purples, greens and white made from plantable paper. The flowers measure between 1 3/4" and 3" in size and are made from paper embedded with a mix of the following seeds: Clarkia, Catchfly, Bird's Eye, Black-eyed Susan, Snapdragon, Sweet Alyssum and English Daisy. A bouquet of 18 flowers in shades of blues, aqua, purples, greens and white made from plantable paper.